Genesis Medical Associates, Inc. - TANYRSS: Take a New Year’s Resolution to Stop Smoking! TANYRSS: Take a New Year’s Resolution to Stop Smoking! Want to quit smoking? You’re not alone. According to the Centers for Disease Control and Prevention (CDC), 68.9% of adult cigarette smokers want to stop smoking. And now that a new year is approaching, you may be thinking about ringing in 2016 with a new cigarette-free you. The catch? 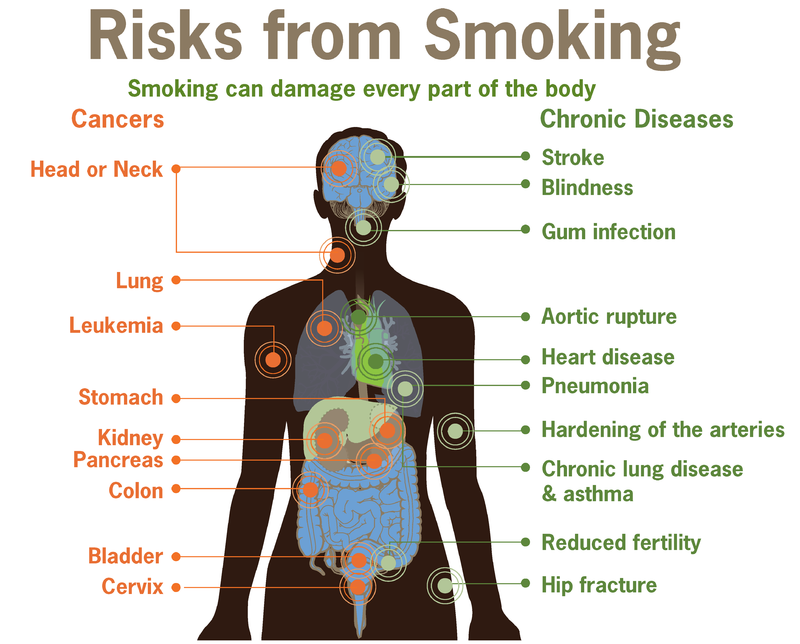 There’s a reason why smoking is still the number one cause of preventable death and disease in the United States. It’s also an addictive habit that knowledge and logic alone cannot break. Add in the fact that just 8% of people achieve their New Year’s goals, and it’s clear that simply saying “I want to quit smoking” won’t be enough to help you start 2016 on the right foot. Create a “Quit Plan.” Like any New Year’s resolution, your efforts to quit smoking next year are most likely to succeed if you create a solid plan in advance with clear checkpoints that you can reach. It’s particularly important to prepare if you want to quit smoking, however, since it can be incredibly tempting to pick up a cigarette - as any smoker knows. To make this process as easy as possible, create your own “Quit Plan” before you begin to try turning your back on smoking. Look into medical support.According to the American Cancer Society, only about 4% to 7% of people are able to quit smoking without medicines or other help. These stats highlight the true power of the addiction smoking creates. The good news is that many smokers find that medical assistance is a very beneficial tool they can use in their efforts to ditch the habit. For example, studies have found that about 25% of smokers who use approved medicines to address a cigarette craving can stay smoke-free for over 6 months. And counseling, behavioral and supportive therapies, and other types of emotional support often increase this success rate further. Mention your efforts to your doctor. Don’t be afraid to mention your efforts to quit smoking to your doctor! While some people may try to hide this habit from their doctor altogether, medical support can be such a crucial part of trying to quit. It only makes sense to mention your efforts to quit to your doctor. Our Ohio Valley Hospital team, for example, will be able to make recommendations and referrals that will enhance your efforts to quit smoking. Your doctor is there to help you - let them! Don’t give up. Unfortunately, even the best laid plans can’t always keep people from smoking. The reality is that very few people successfully quit smoking on the first try - and it can take 8 attempts or more to finally kick this habit to the curb. If this happens, don’t be too hard on yourself - it’s a very natural part of the quitting process. And while “if at first you don’t succeed, try try again” may be a cliché, it’s the perfect cliché in this case! Taking action to prepare for 2016 now will give you a chance to create a new, healthier you. While it’s not easy to quit smoking, it’s 100% worth it! And remember, the most important thing as we approach 2016 and beyond is to keep trying to quit, until you quit for good.